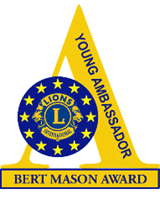 WELCOME TO 2019 Bert Masson Young Ambassador Award in TALLINN! Each member of the Europa Forum is invited to present their finalist for the 12th edition of the European Young Ambassador Award. Only finalists of the national competition can participate. Further information can be obtained with the local Young Ambassador responsible or the European Young Ambassador Committee. In order to recognize these young people, a competition between European finalists will take place at the annual Europa Forum. Awards will be made to the winning finalists. The below text is an extract from the rules. If in doubt, only the official version of the regulation will be valid. 1. To be eligible, finalists must be no younger than 15 and no older than 19 on 30th June in the year Europa Forum is held. 2. Each member of the Europa Forum may nominate one and only one participant for the competition. 3. Finalists must be registered with the Chairman of the European Committee by the end of July in the year of the competition, using the application form provided. 4. The finalists’ costs for attending the competition will be the responsibility of the entering members. Each finalist will be interviewed by three judges. The judges are “non-Lions”, male and female, from the service sector, education and Industry. They will mark the finalists on the community service activity, personality and leadership qualities, use of the prize money and the ability to speak about their service activity. You can find the detailed information in the files Rules of Procedure of the Lions European Young Ambassador Award and the Application Form YAA 2019.